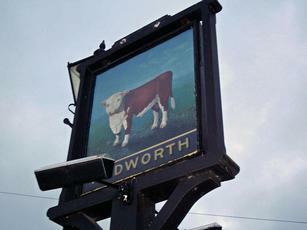 Had a nice pint of Wadworths - Bishops Tipple on last visit. Lunchtime food very nice and bar staff gave a warm welcome. 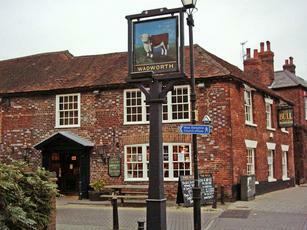 Pleasant enough, clean spacious, friendly - but not impressed with the Wadworth's beer. Perhaps it's not my style, but I remember I being OK years ago. Oh well, personal taste I guess. Seem to do good business with the food, which I haven't tried yet. Ok but nothing special. Beer (Wadworth's) too cold. Popular as an after-work venue for local offices. Visited with my wife on the way back up the M4. The Bull is only a short ride from the junction. They have a new young chef and the food was fantastic. We ate off the evening menu and this is a mixture of classic English Pub food with a modern twist. We had Whitebait and Scallops to start with and these were very well presented and cooked, followed by fish and chips and belly of pork with black pudding. The portions were very generous, especially as the mains were only �10.00 each. Will make an effort to stop next time we are going down the M4. Tuesday afternoon - bus from Reading, stops opposite,went in for a pint,friendly greeting from the barmaid;orderd a pint of IPA;she pulls off some beer before serving me (nice touch);beer good;tasty and cool (not cold) not many people in the bar but plenty to keep me occupied(local papers and newsletters/TV without sound - sadly the quiz machine had all the wrong answers on it). OK this place may well change in the evening at at weekends but I liked it when I visited and that's all I can judge it by. �2.70 for the beer was good these days.